Our mission as a Tucson AZ chiropractor is to provide the people of Tucson and the surrounding areas exemplary patient care that will help them achieve and maintain their highest potential for optimal health. We strive for excellence through natural healthcare measures, outstanding patient treatment, technology, education, and satisfaction. effect is greater than the sum of their individual effects. We utilize many effective and non-invasive techniques including; Surface EMG, Thermal Scanning, Wireless Range of Motion (following The American Medical Association guidelines), Neurological Stress Testing, and Body Composition Analysis and Physiology Testing Equipment. Through this testing, most people discover more about their body than they ever thought possible. 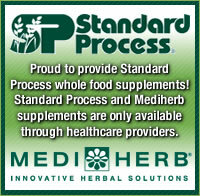 Optimize your health the natural way! We have solutions for people that aren’t feeling well, and also for those that feel fine, but want to OPTIMIZE their health and keep it that way. Most people don’t realize that only a small part of our nervous system actually tells us how we feel through pain and symptoms. How we feel and how we are functioning doesn’t always go hand-in-hand. If only a small part of our nervous system is wrapped up in how we feel, then how do we know how well we are actually functioning? Here at Synergy Wellness we have objective testing to help you discover the answer. We can help you create a better health force than you can provide yourself alone. Contact our Tucson chiropractic office to schedule an appointment so we can help you and your family! Beliefs dictate behaviors. Don’t like what you have? Then check your beliefs. Successful by Choice; NOT by chance.